Once again, we are proud to host the Old Capitol Criterium and Iowa City Road Race weekend. Held over the weekend of April 27 and 28, 2019. 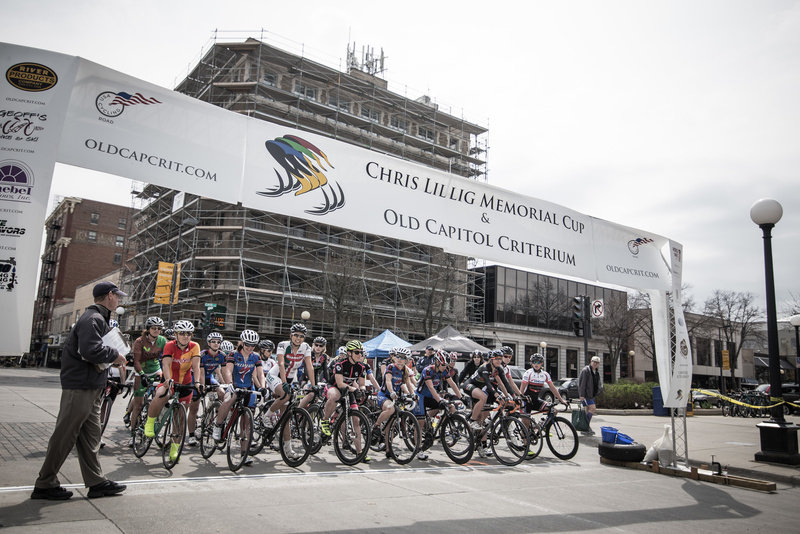 The elite Women’s and Men’s race winners of the Old Capitol Critierium will be awarded the Chris Lillig Memorial Cup. Back for 2019 – JUNIORS RACE FREE – our title sponsor, River Products, has stepped up and covered the registrations costs for all junior racers during the race weekend. The Old Capitol Criterium is proud to continue the tradition of offering FREE Kids Races for children ages 9 and under on Sunday. Head on over to the race page for more info. The IMCRS focuses on connecting racing, bicycling advocacy and communities to improve cycling safety and showcase Iowa racing.